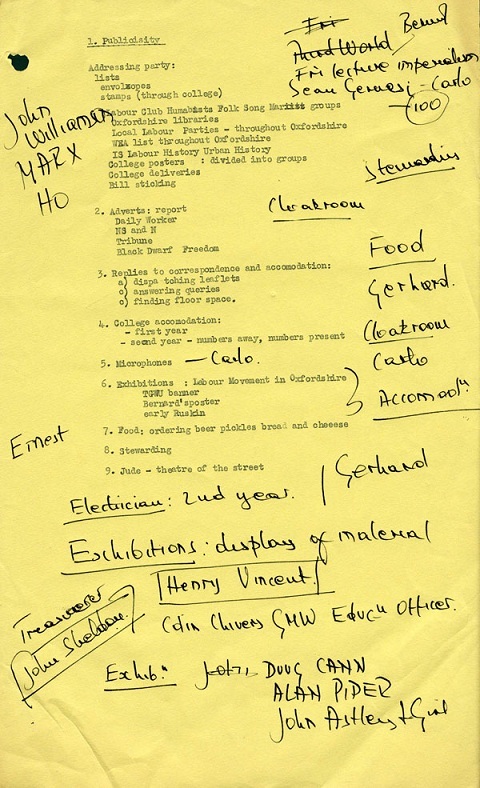 History Workshop 3 took place at Ruskin College on Saturday 16 November 1968. It was followed on Sunday 17 November by a coach trip to Bagley Wood, Otmoor, and Wellesbourne in the Oxfordshire and Warwickshire countryside. Under the heading ‘The English Countryside in the 19th Century (Including Wales)’, three sessions were held on subjects including ‘Common Rights’ and ‘Village Radicalism’. Papers given included Peasant Farming in North Wales, Customary Rights and Popular Football 1700-1850, and Labourers’ Songs of the 19th Century. Following the pattern established at History Workshop 2, speakers included a mixture of professional and non-professional historians and students. 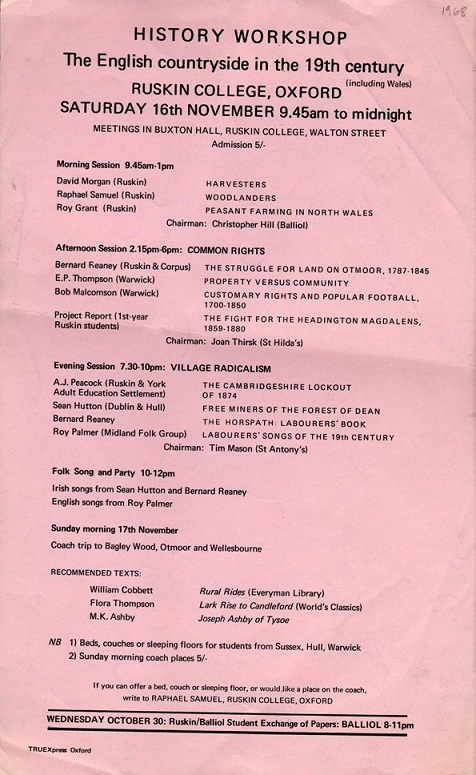 The institutions to which the speakers were attached included universities, adult education colleges, and the Midlands Folk Group. A party, including English and Irish folk music, rounded off the Saturday programme. 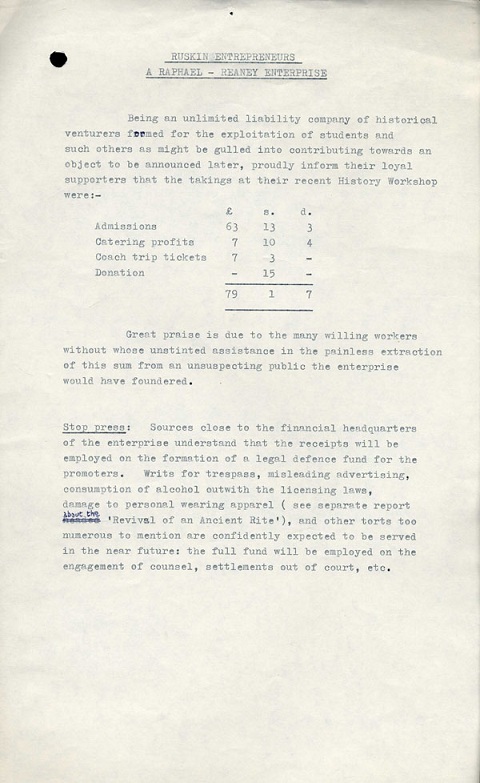 These social and cultural events were features of many Workshops, and demonstrated a long-running interest in mass culture and its relationship to the histories of those who create and consume it.